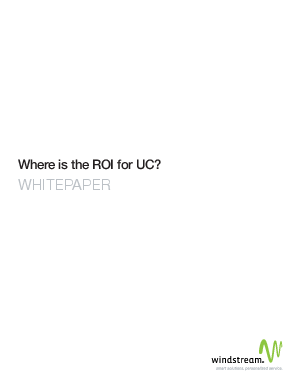 > Windstream > Where is the ROI for UC? Determine how your organization will evaluate hard- and soft-dollar savings opportunities. Compare how UC collaboration tools can deliver savings in audio conferencing, video and web conferencing, presence management and carrier costs. Learn how an advanced solution like Communications Enabled Business Processes (CEBP) can help overhaul inefficient business processes by reducing product development times, increasing the volume of transactions, accelerating approval processes and building enhanced customer loyalty. Identifying these opportunities for savings will help you demonstrate the value of UC to decision makers. Read the whitepaper for more ideas on how to get your organization on board.